2011 was one hell of a year! It was a rollercoaster ride of the highest highs and lowest lows. 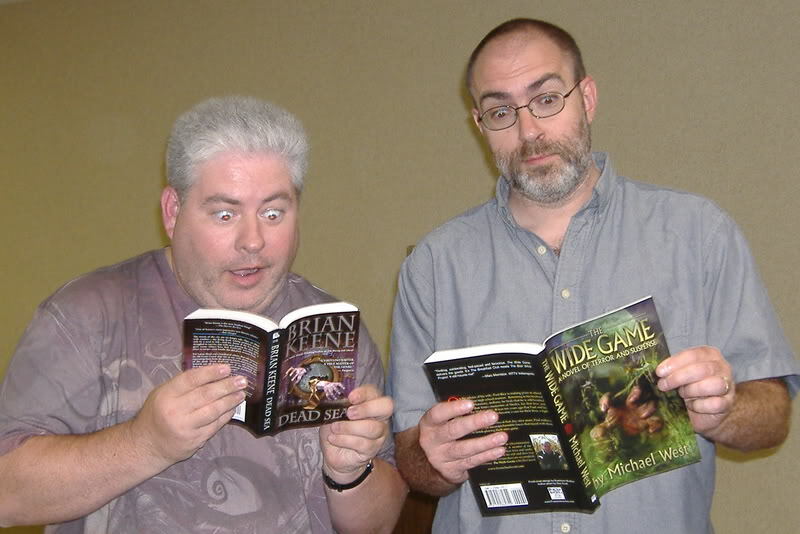 On the high end, I signed on with Seventh Star Press and saw a record number of works published in various magazines and anthologies. And last but not least, Cinema of Shadows. The reaction from faithful readers and critics to Cinema has been especially rewarding, and I thank you all for your kind words and support. And for the lows? Well, they were pretty damn low. Sara J. Larson, a co-founder of Indiana Horror Writers, my harshest critic, my biggest fan, and one of my closest and dearest friends, has been battling breast cancer for over a year. There was a time, after her chemo and radiation treatments, when it looked like she would be with us for years to come, but in the fall, her condition took a turn for the worse. She is now in hospice, and her time is short. For those who have had a friend or family member fight a losing battle with this disease, you know my sadness and my total feeling of helplessness. She is in my thoughts and my prayers every minute of every day, as is her incredible husband, Bill. If you have never had a cancer screening, please do so. And give what you can to cancer research so that, someday, no one will have to go through this. One of the projects I am working on for the new year is an anthology of Vampire fiction for Naked Snake Press called Vampires Don’t Sparkle! The stories will be dark, and gritty, with vampires that do not mope or go to prom, and best of all…all proceeds from the sale of the anthology will be donated to Susan G. Komen for the Cure in Sara J. Larson’s name. The stories are in, and I am reading and editing like crazy, so I hope to have a table of contents for you soon. If you are a fan of Horror, or you just want to help make a difference in the war on cancer, please buy or download a copy when it becomes available in the first half of 2012. 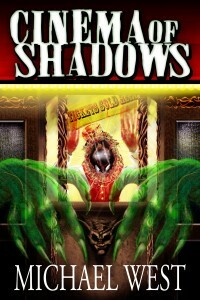 Also coming in 2012 is the first novel in my Legacy of the Gods series, Poseidon’s Children. This epic, four book saga has been a project that I have been toying with off and on since 1989, and I am so happy that Seventh Star Press is giving me the opportunity to be able to finally share it with all of you. Look for the limited edition hardcover, paperback, and eBook versions of Poseidon’s Children to surface in March. I also have three new short stories coming out in the next few months. “The Grove” will appear in Shroud Magazine, Issue #13, “For the River Is Wide and the Gods Are Hungry” will be released as a $0.99 eBook from Seventh Star Press, and “Unknown Caller” will be part of an amazing limited edition anthology from MHB Press called Cadence in Decay. And last but not least, my next Harmony, Indiana novel, Spook House, will be released in September. 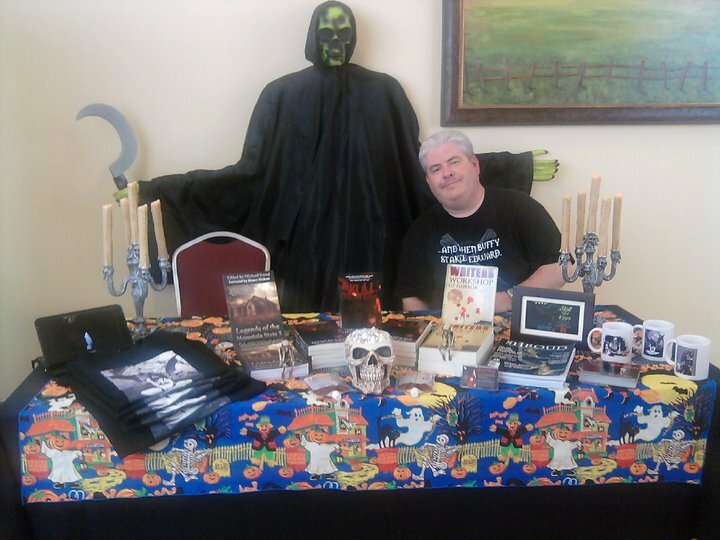 I will also be on the road quite a bit in the next 12 months, with appearances at Days of the Dead, HorrorHound Weekend, Fandom Fest, and Scarefest to name just a few. Check my schedule throughout the year, as it does change from time to time. Yes indeed, 2012 promises to be another roller coaster of a year! Let’s hope there are more ups than downs for us all, and I look forward to meeting many of you in my travels. As always, thanks to you, my faithful readers. You are why I do this, and I hope to offer you more thrills and chills over the next 12 months and for many years to come. 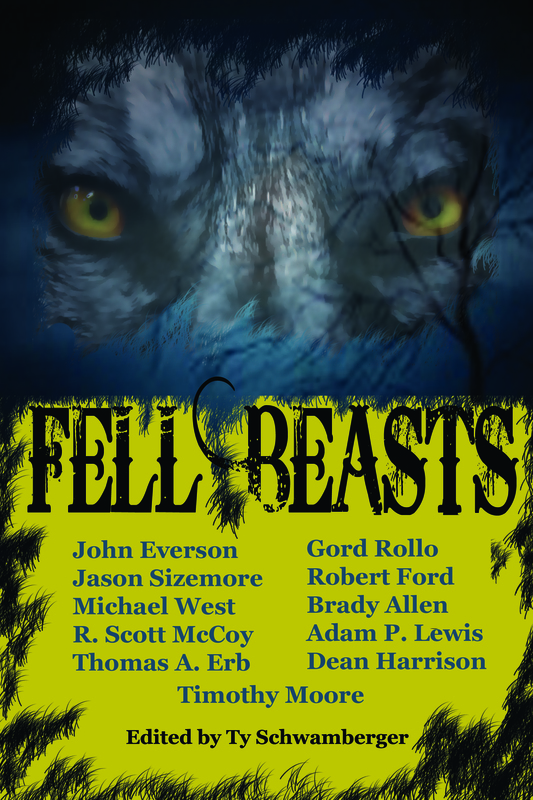 Fell Beasts Now Available for Pre-order! 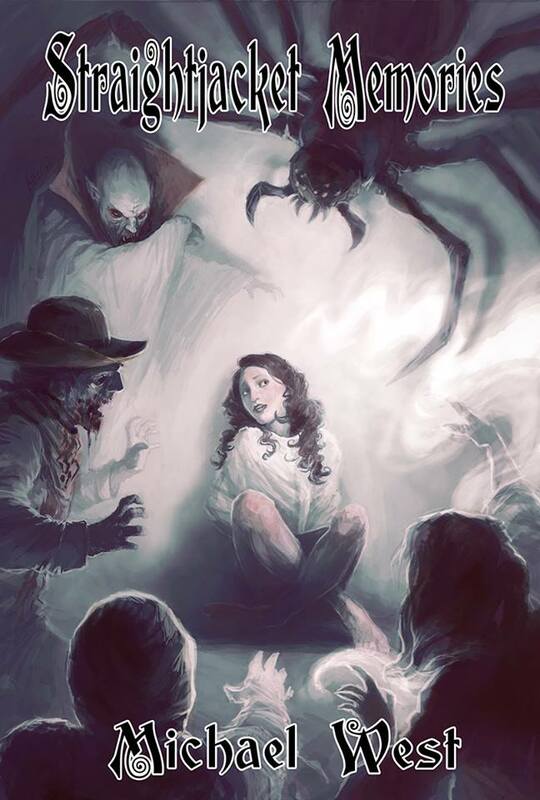 Almost every kid believes there are things lurking under their beds or waiting in the shadows for the opportunity to jump out and attack if they happen to play outside too far into the night. But, as we grow up, we mature and realize there really aren’t things that go bump in the night. In this eclectic collection of eleven short stories by some of today’s veterans and up-and-comers in the horror genre; you will uncover things that may revert your mind back to when you were a little kid. You’ll discover: hairy beasts that dwell in caves and wander the wilderness in search of prey, things that slither and lurk in the water, creatures from Hell, people that think they are a monster or an animal, dwarf-beasts, vicious winged creatures and a macabre experiment on an unfortunate soul. But, you can handle all that, right? Stick a fork in 2010. It’s over. Done. Finito. Finished. Despite some personal struggles, 2010 was the best year of my professional career thus far. 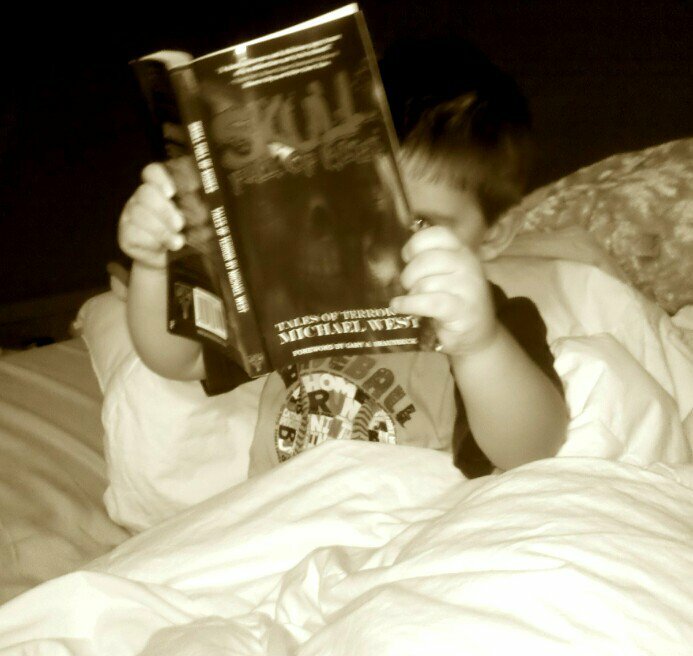 My first short story collection, Skull Full of Kisses, was released to amazing feedback and reviews. My first novel, The Wide Game, was picked up by Graveside Tales Books for release in 2011. I got to work with the good people at Dark Rider Studios on the book trailers for both. I received invitations to write new stories for various magazines and anthologies. 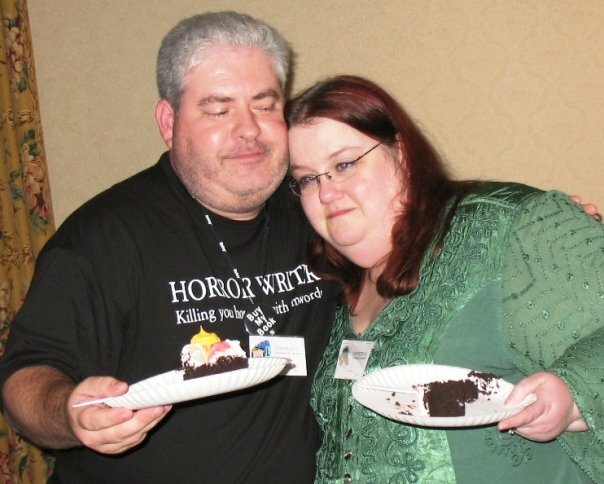 And, most amazing of all, I got to tour the Midwest and meet faithful readers from all over the country. 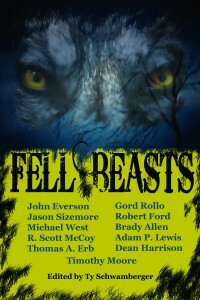 Well, 2011 will see the release of the Fell Beasts anthology, featuring my short story “Sandwalkers,” sometime in January. 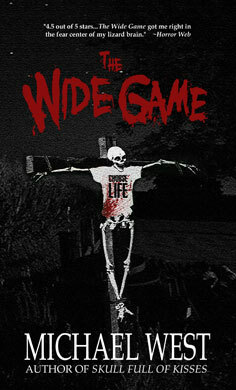 The winter issue of Shroud magazine will feature my short story “Don’t Let the Bed Bugs Bite.” And, as previously mentioned, my first novel, The Wide Game, will be released on February 15th. Also coming are stories in The Beast Within 2 anthology and Appalachian Folklore: Dark Tales of Superstition and Old Wives’ Tales. And that’s just the stuff I’ve already written. 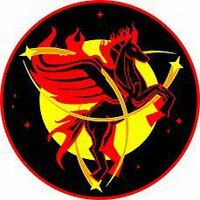 New projects for the new year include work on my first Sci-fi / Horror novel, Echoes of Aurora, continued work on my epic Urban Fantasy series, The Legacy of the Gods, and a few new short tales, including a zombie Western. And, of course, I will be out on tour in support of all my work. 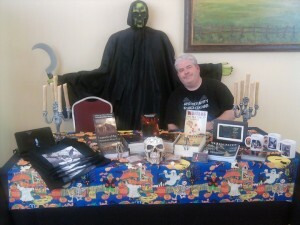 Look for me at Horror Hound Weekend, Mo*Con, Fandomfest, Context, and Scarefest, just to name a few (check the Schedule page for all the details as they become available). So thanks to you, all my faithful readers, for your kind words and encouragement in the past, and for your continued support in 2011 and beyond. Happy New Year! May the future be a bright one for us all! For faithful readers eagerly awaiting the release of the Fell Beasts anthology, which contains my short story “Sandwalkers” and was originally scheduled for release this month, I have some disappointing news. Just found out that, due to some issues at the printer, the release has been delayed until sometime in January. I will keep you all posted as more updates become available. Thank you all for your patience and your continued support! 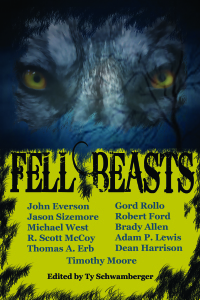 Fell Beasts coming for Christmas! I feel honored to be sharing this anthology with so many talented authors. Stay tuned, faithful readers! More info will be posted as the release date approaches!